A preview of the coming attractions? Internet system is worse off than the electrical grid. Very fragile. I know that there were internet outages in various parts of Oregon on July, 4. Our infrastructure is a fragile thing. That's why I have this..
A1, Yes, cell service problems were experienced during the time frame you referenced in the 35463 area. Earlier in the week there were major outages nation wide for Comcast voip and att internet. BamaFal, nice to see another member close by. Whether intentional or not, yes, a preview of things to come. It was interesting to watch how people got fidgety over not being able to use their phones for a day. These phones are an addiction for some. What was interesting is that the landlines still worked. Must not have hit that cable. Power was flakey all over Georgia Wednesday and cell phones acted up Thursday. Any holiday where as many techs as possible can take a day off and utilities start falling apart quickly due to less fingers available to plug the holes in the dike. Worked telecom too long, three days without techs in the field and it will collapse in on itself. And me who thought internet was designed to seek alternative routes due to its arpanet roots. 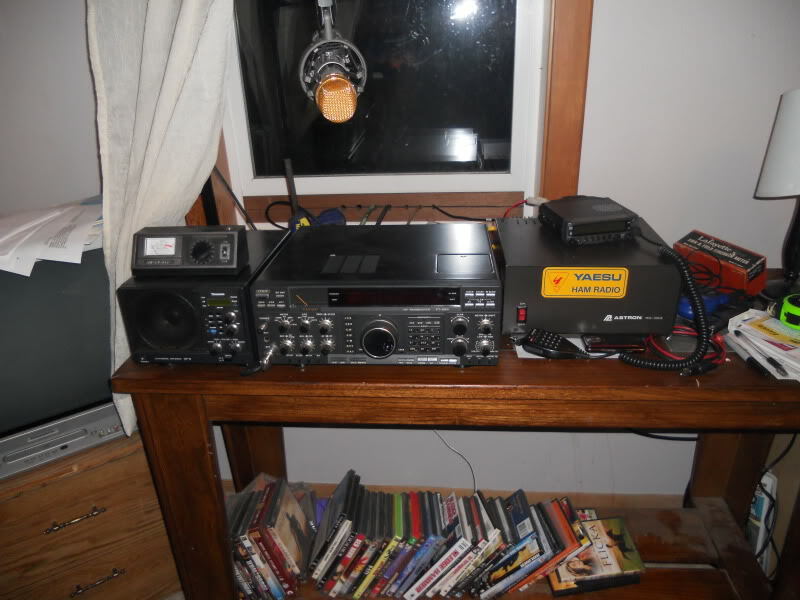 Added an Icom IC-7100 all band all mode D-Star along with the pair of Icom 880H's, pair of IC-91 HT's and pair of IC-51 HT's at home shack and can drag another 880H, 2800H, 2200H and pair of IC 92's home from work plus scrounge more mobiles and HT's from trucks. Believe have about eight D-Star HT's now and if SHTF will use them at low power on odd split to keep comms off majority of radios as all my friends have at least a couple D-star radios. H.F. will be digital comms and now have six Icom 4 meter low band VHF and VHF HT's and one mobile with their rolling algorithm digital scramble boards for comms around the Ponderosa. Have kept two 4 meter rigs on scan mode for weeks and not received any traffic but expect for American amateurs to eventually start using like Europeans as PMR rag chew radios. Why all mine have slots for the digital scramble boards. Can use to communicate with others that go pirate on 4 meters or scramble them and keep traffic private. I have way too many radios. Hope you have duplicates of that Ham rig sitting in metal boxes somewhere. Sitting out in the open,its every bit as vulnerable as the grid. Hell,a close lightning strike could fry it. A1, pm me sometime and we can get a cup of coffee and talk FAL. Verizon Wireless customers are reporting outages across much of the U.S., including Upstate New York. Other areas affected include large portions of the Northeast, the Midwest and South. The outage map shows large red circles of outage reports in cities like Dallas, New Orleans, Detroit, Memphis, Cleveland, Pittsburgh, Boston and Washington, D.C.
Government was said to be working on a mass call for emergency purpose, might be they are screwing it up.